When fashion designer and philanthropist Donna Karan first traveled to Haiti after the 2010 earthquake, she was shocked by the scale of destruction and despair. But even amid the rubble she saw glimmers of hope in people making beautiful objects out of stone, metal, wood, paper and bone. In a matter of months, her Urban Zen Foundation launched the Haitian Artisan Project, with the mission of helping talented craftsmen and women gain access to high-end markets. Over the past two years Karan invested time and money in the project, providing financial assistance and guidance to artisans in Port-au-Prince, Léogâne and Jacmel, cities ravaged by the quake. Those efforts resulted in a line of remarkable home decoration articles and fashion accessories, some which will be on display at the art gallery of the Inter-American Development Bank’s Cultural Center until June 27. The “Discover Haiti” exhibit, first held at the Urban Zen Center in New York City, will soon travel to London for the Summer Olympics. 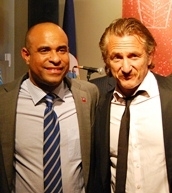 Lamothe thanked Karan and actor Sean Penn, who attended the event, for their work in Haiti and commended the artists and artisans responsible for the prints and objects featured in Discover Haiti for upholding their culture and for promoting their country. “Things are improving. Things are getting better. Things are moving in the right direction,” Lamothe said. Prior to the reception, former U.S. president Bill Clinton and IDB President Luis Alberto Moreno held a public discussion on how the international community, the private sector and non-profits could help Haiti overcome its economic challenges. One of the keys, they agreed, would be to pool efforts and coordinate with the Haitian government, in order to achieve greater impact. In that spirit, earlier in the day, Karan met with an IDB team led by Executive Vice President Julie T. Katzman and Multilateral Investment Fund (MIF) General Manager Nancy Lee. They were joined by representatives from other organizations interested in promoting entrepreneurship in Haiti, including the Clinton Foundation, which has worked with Urban Zen to open foreign markets for Haitian artisans. The goal of the meeting was to discuss a value-chain approach to the Haitian handicraft sector. The MIF is already funding projects of that nature in Haiti involving mango and coffee production. According to an assessment commissioned by the MIF, tens of thousands of Haitian artisans could benefit from such an approach, which would tackle a range of problems not addressed by more narrowly focused projects that reach fewer people. Paradoxically, as the assessment noted, the Haitian artisan sector is not facing a demand problem but rather one of supply. Buyers, from independent retailers to wholesalers, say they are interested in buying more handcrafts from Haiti, as consumers value the creativity and unique styles of its artisans. However, buyers routinely run into problems such as inconsistent pricing, uneven quality, unreliable deliveries and high shipping costs. 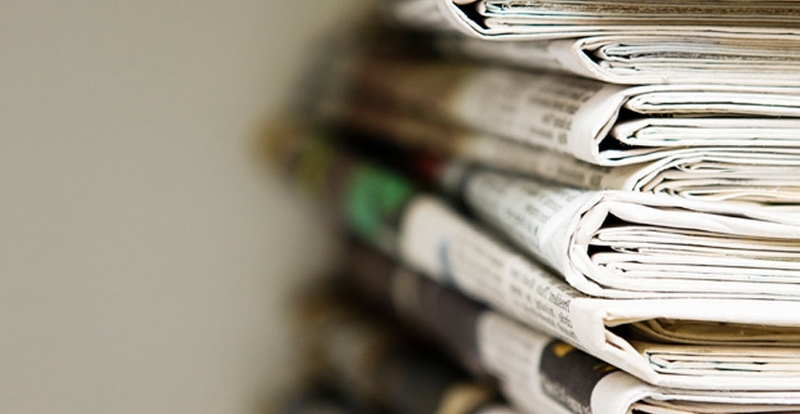 A shortage of capable intermediaries was a frequently cited complaint. A value-chain approach would work with local artisan organizations, helping their members hone their business skills and gain financial literacy. In parallel, partner organizations such as Urban Zen would assist craftsmen and women in product development and marketing, targeting new buyers. Complementary services would be developed such as access to financing and group purchases of raw materials. Most importantly, the project would have a long timeline to allow artisans to cement relationships with clients. “All Haitian artisans are artists in their own right. What they need is some support to turn their art into a means of living. This is where we, as a development institution, clearly have a role to play,” said lead specialist Maria Teresa Villanueva, who coordinated the MIF’s projects in Haiti after the earthquake.